A 14 point haul from midfielder Donal Hannon helped Newmarket to a 0-21 to 1-11 victory over Dromtarriffe. The game was played July 20th in Lismire. 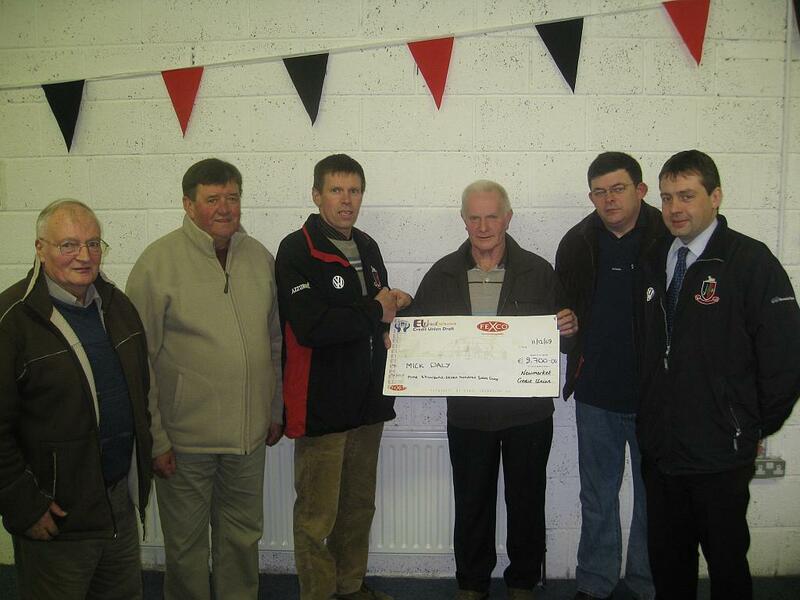 Newmarket & Dromtarriffe draw in Duhallow JAHL round 5 with the scoreboard showing Newmarket 2-13 V Dromtarriffe 0-19. The game was played May 18th in Dromtarriffe. Newmarket goal scoring ability proved to be the key factor in a win over Dromtariffe in the Junior Hurling league. Newmarket’s junior hurlers got their league campaign off to an ideal start with a big home victory over Dromtariffe by 4-16 to 0-12 at Newmarket on Sunday afternoon. A three goal salvo in a four minute second half spell decisive to paving the way for victory. Newmarket recorded an impressive victory over Dromtariffe by 4-15 to 3-7 in a high scoring junior B football championship game played at Boherbue on Monday evening. A strong second half showing enabled Robert Emmets to overturn a half time deficit of two points to run out victors by 0-14 to 1-6 against Dromtariffe at a chilly Tullylease on Saturday evening . A tally of nine points, some of sublime quality from full forward Daniel Culloty proved central to the outcome. Despite a much improved second half performance, Newmarket went down to a second successive heavy defeat in the Ducon Cup, this time away to Dromtariffe by 2-15 to 0-6 on a bright but cool Saturday afternoon. 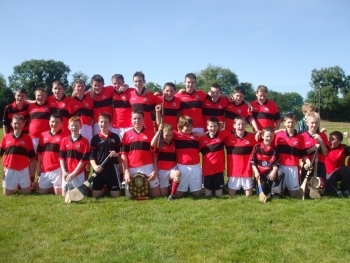 An amazing ten minute spell towards the end of the game, that yielded a goal and seven points enabled Newmarket to overturn a three point deficit and claim the North Cork Minor A Hurling League with a final victory over Dromtariffe by 1-17 to 1-11 at Castlemagner on Sunday morning. Newmarket, in their second outing in four days, collected their first victory of the junior B hurling league as they held off a late Dromtariffe rally to win by 2-10 to 1-10 at Dromtariffe on Thursday evening. 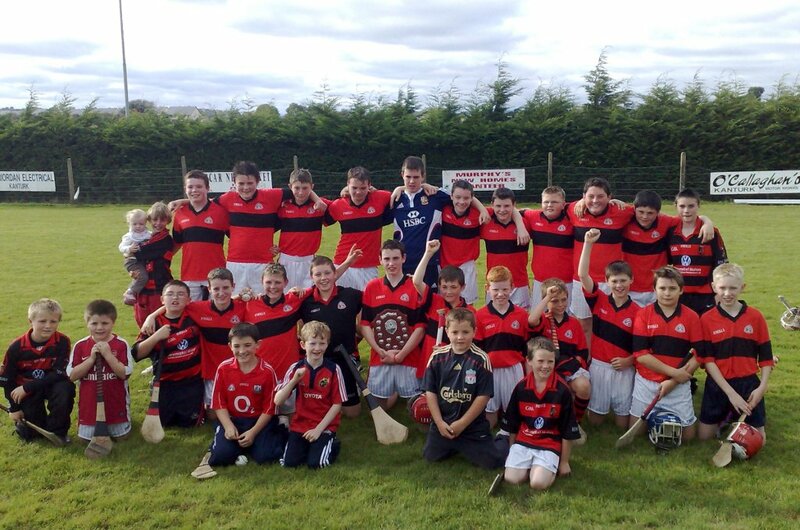 Newmarket’s minor hurlers recorded a fine home league victory over Dromtariffe by 2-14 to 1-9 on Monday evening. Newmarket rounded off the Ducon Cup campaign with a very impressive home victory over Dromtariffe by 2-9 to 0-6 on a sunny Sunday afternoon, which owed much to a fantastic team effort from one to fifteen. Newmarket travelled to Dromtariffe on Wednesday evening last to take on the home side in their latest outing in the Ducon Cup and despite suffering an eight point defeat by 0-12 to 0-4, they were left to rue their tally of fifteen wides during the game. Newmarket advanced to the semi final of the Duhallow Cup after recording a second successive emphatic victory in the competition over Dromtariffe by 5-17 to 2-3 at Boherbue on Saturday evening. Newmarket were defeated by Dromtariffe in the opening round of the junior B football championship by 0-12 to 1-6 at the latter’s venue on Saturday evening last. Newmarket’s minor hurlers put in a splendid performance in claiming the Duhallow Minor C Hurling championship after a clear victory over Dromtariffe by 3-16 to 1-5 in the much anticipated replay, played before a fine crowd in Kanturk on Monday evening. The minor hurlers of Newmarket and Dromtariffe must meet again after extra time failed to separate the sides, who served up an epic encounter in the Duhallow Minor C Hurling Championship Final which ended 2-17 to 1-20 at Kanturk on Wednesday evening. Two late points from Dromtariffe brought to an end Newmarket’s three year reign as Duhallow under 21 football champions as the home side edged an even contest by 2-9 to 1-10 in an entertaining quarter final contest played in ideal conditions at Dromtariffe on Saturday afternoon. Congratulations to the Newmarket under 14 hurlers who completed the championship double last Sunday, following the defeat of Dromtariffe in the A final. 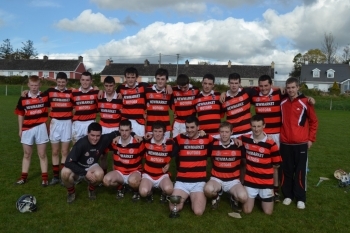 Two weeks ago the boys won against Millstreet in the B final after some late goals. This Sunday it took extra time to separate the teams, Newmarket running out victorious on a scoreline of 3-18 to 5-11. Congratulations to all the boys, their mentors and families. Additional photos can be found in the gallery. 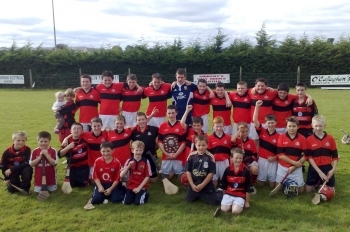 A gallant Newmarket minor hurling team were defeated by Dromtariffe in the Duhallow Minor C Hurling Championship final played in trying wet conditions at Dromtariffe on Friday evening, a late burst from the home side confirming a 0-14 to 1-7 victory. Friday night, 26th June, saw the resumption of the U16 football league with Newmarket taking on Dromtariffe at Newmarket on a fine summers evening.